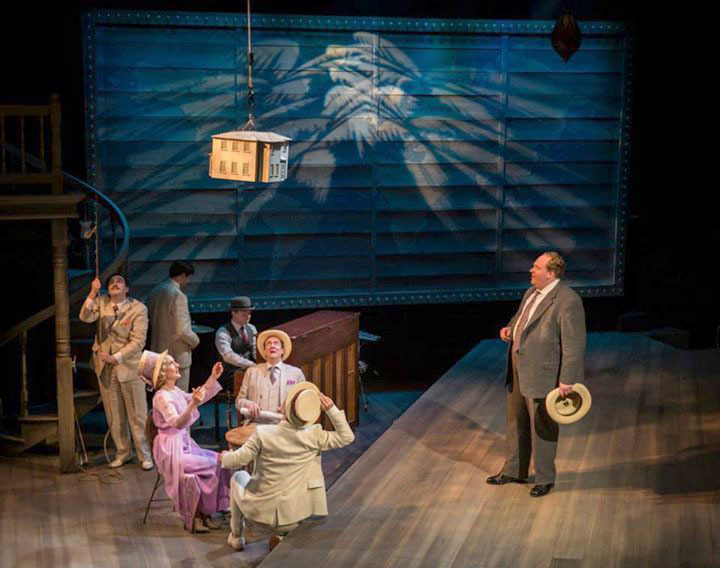 Roadshow, is the story of real-life brothers Addison and Wilson Mizner. Addison, becomes well known for his Mediterranean and Spanish Colonial style architecture. Five small models, based upon actual Addison Mizner houses, were built out of 1/2" birch plywood, 1/4"finish plywood, vellum and 1:12 scale sheets of Spanish tile roofing. All houses were rigged to fly. The interiors were electrified with LED tape by electrics department.